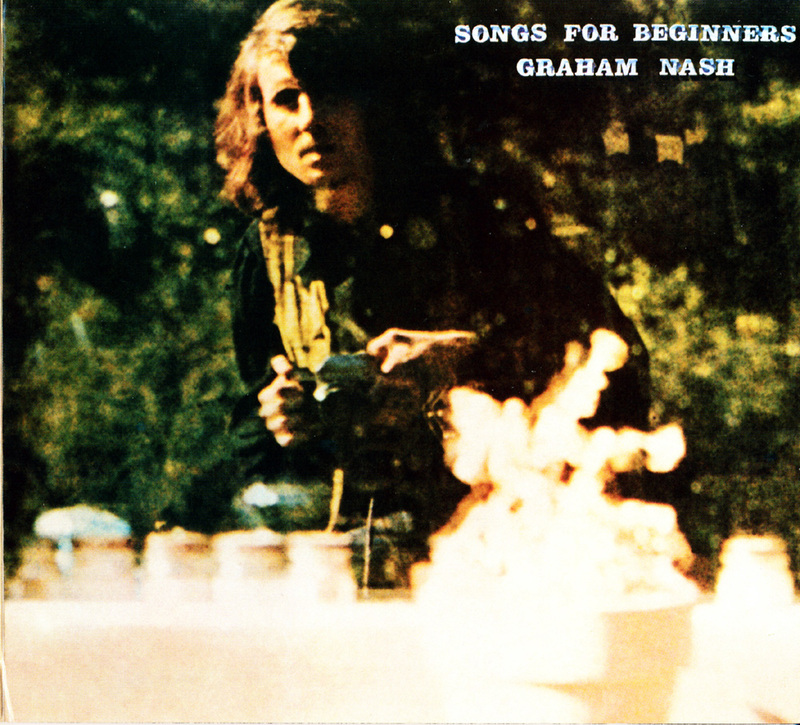 Songs for Beginners is Graham Nash's solo debut apart from Crosby, Stills, Nash & Young. Released in 1971, it is a collection of songs that reflect change, transition, and starting over. The set was recorded in both Los Angeles and San Francisco, in the immediate aftermath of Nash's traumatic breakup with Joni Mitchell. Unlike the colorful dynamism of Stephen Stills' eponymous debut recording, or the acid-drenched cosmic cowboy spaciness of David Crosby's If I Could Only Remember My Name, Nash's album is by contrast a much more humble and direct offering. It is a true, mostly introspective songwriter's album full of beautifully performed and wonderfully recorded songs that reflect transition, movement, the desire to look backward and forward simultaneously. Like the aforementioned offering, this one is star-studded in its choice of players and singers: Crosby, Chris Ethridge, Jerry Garcia, Rita Coolidge, Clydie King, Venetta Fields, Dave Mason, Neil Young (under the pseudonym "Joe Yankee"), David Lindley, Bobby Keys, Phil Lesh, Dallas Taylor, and drummer John Barbata reflect some of the personnel on this heady yet humble session. The album is bookended by two of Nash's best-known tunes, the anthemic "Military Madness" that remains timeless in the 21st century, and "Chicago," that doesn't. That said, they are among the weakest songs here -- which reveals what a solid collection it is. 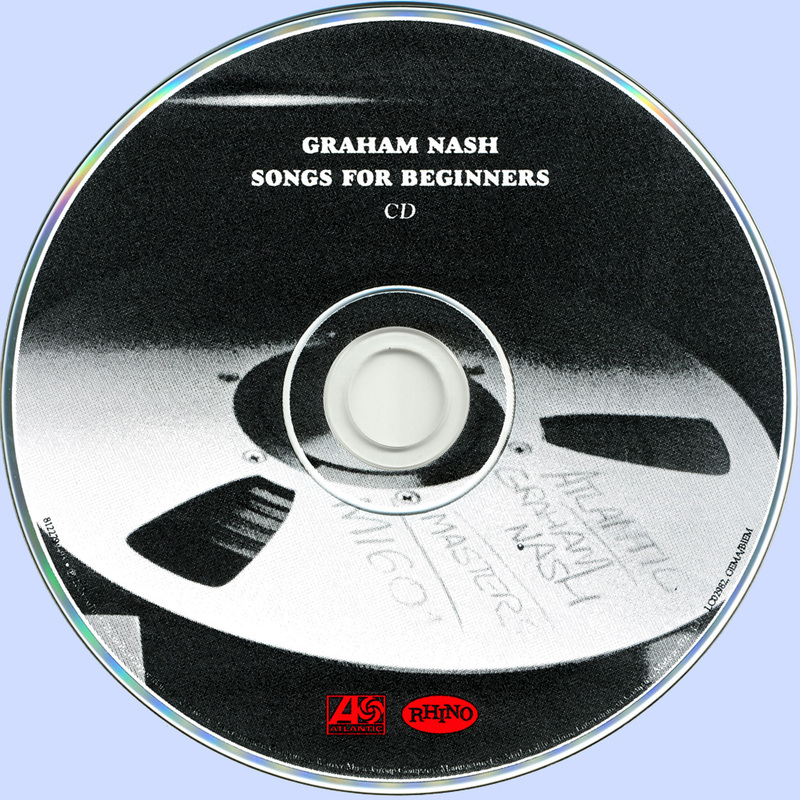 Unlike many recordings birthed from personal angst, Nash's engages in no self pity; instead, he focuses on the craft of songwriting itself. Despite its personal darkness, "Better Days," with its swirling piano and pronounced bassline, is also an actual paean to self-determination and perseverance, the logic being that there were better days in the past, so there must be better ones in the future as well. "I Used to Be a King," with Garcia on a gorgeous pedal steel and Lesh on bass, is a direct, mature response to "King Midas in Reverse," a song Nash wrote and recorded with the Hollies. "Simple Man," with its sparse melody and strings and a fine backing vocal from Coolidge, was written on the afternoon of the breakup with Mitchell. 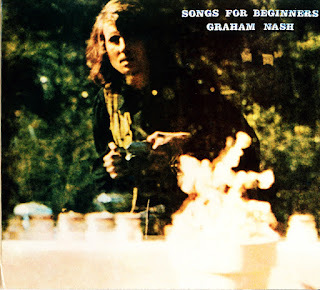 The violin-cello backdrop to Nash's piano is particularly effective and makes this one of his most memorable songs. The parlor room country waltz that commences "Man in the Mirror," features Garcia's steel, Young's piano, ex-Flying Burrito Brother Ethridge, and drummer Barbata; it shifts keys, tempo, and feel about a third of the way in with a very long bridge that transforms the song's sentiment as well. 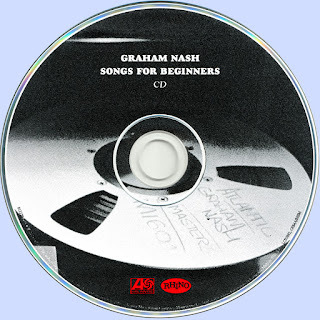 Ultimately, Songs for Beginners is the strongest of Nash's solo efforts (outside of his work with Crosby).